Alexa can now read your emails. What does this mean for newsletters? This week, Amazon announced that Alexa will be able to read your emails out loud. While this article only scratches the surface, this presents a massive opportunity for newsletters. The best newsletters already function as conversational content, and we will boldly proclaim, a great newsletter should naturally translate to the medium of a voice assistant. If the Alexa-reading-your-emails story engendered a cautious excitement amongst our team, this blog post and corresponding examples have us in full-fanboy-freakout mode. Imagine a slider that tailors content exactly to the depth you require. News orgs have been talking about this forever, but Parametric.Press (an experimental digital magazine) shows what is possible. Head over to the site and just play with the TL;DR <> Detail slider, and you will get “it” instantly. Another great example of this was from the copywriter Joe Coleman’s website. This week we learned there is such a thing as a “soundmark”, and Zippo procured one for the sound of a lighter being flicked open. Other examples include the roar of the MGM Lion and the Intel chimes. If you’ve forgotten (or innocently never knew) what a Zippo “sounds” like, we present to you, “10 Hours of Zippo Lighter Metal Sound”. Always think about your end user. This is a great piece from the Bloomberg User Research team that breaks down the question of “why do users consume their news services”. While we strongly advocate for obsessing over analytics reports and user journeys, this is a valuable case study in taking a step back to examine the deeper motivations of your audience. 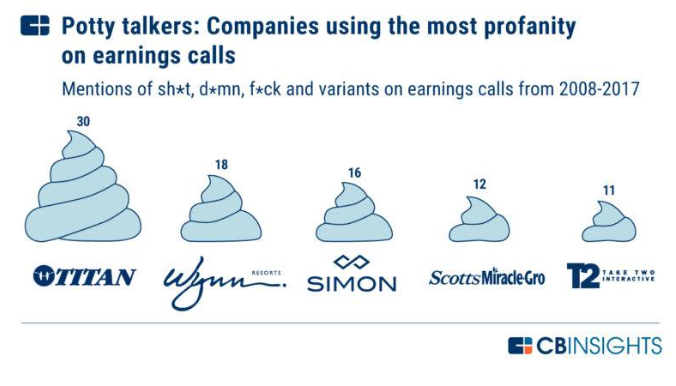 Firms like CB Insights have been popularizing the technique of using NLP toanalyze the transcripts of earnings calls, which has resulted in some delightful studies on the usage of profanities in such environments. But we must all train our behaviors to please the robots, and Gartner just published a piece on the type of language and syntax C-suite officials should use, given the knowledge that their words will be mechanically parsed. Possible #2019goal: Training executives on how to adjust their speech to please the NLP-bots. Crypto may be falling a bit out of favor, but The Block has become our go-to resource for all things blockchain. One small detail worth noting is their daily markets data leading the newsletter. Transferrable, valuable building blocks like these were one of our favorite lessons from that Nieman Lab newsletter strategy masterclass from a few months back. 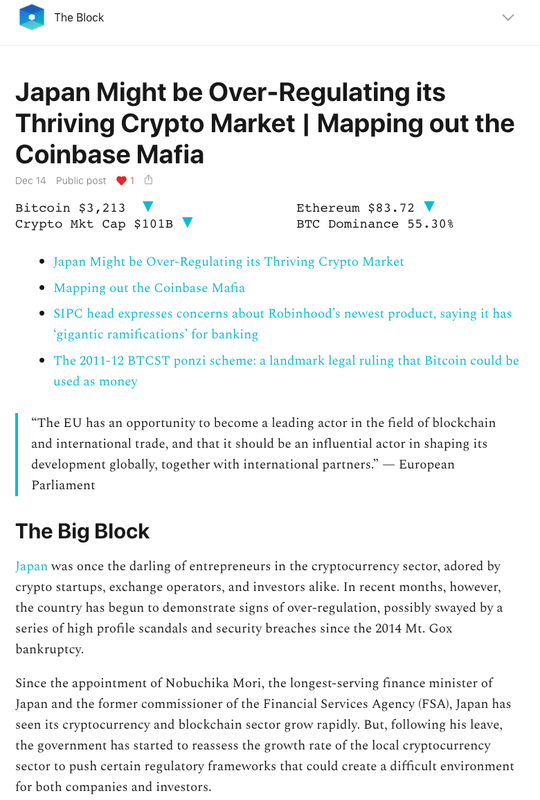 Additional note: It appears The Block has recently migrated to Substack, a newsletter-ing platform we are certain to be writing about more in 2019.